1.1.1 Why Use Policy-Based Data Protection? 1.2.1 Why Use Universal Object Recovery? NAKIVO Backup & Replication v8.1 revolutionizes the way companies manage their backup operations by introducing Policy-Based Data Protection. Set up policies for your data protection processes and have the corresponding VMs protected automatically. When you add VMs that match your specified criteria, NAKIVO Backup & Replication protects them automatically. Why Use Policy-Based Data Protection? The Policy-Based Data Protection feature is designed to reduce complexity and add more flexibility to data protection processes such as backup, replication, or backup copy. You can set rules based on VM name, tag, size, location, VM configuration, power state, or any combination of these parameters. A newly-created VM or instance is automatically added to data protection jobs if they match your policy rules; you don’t have to keep track of all the changes in your infrastructure or manually manage data protection for new VMs. You can add as many new VMs and instances as needed – NAKIVO Backup & Replication can automatically protect all of them for you, as long as you have policy-based jobs in place. This functionality can be a great time-saver if your virtualized infrastructure is actively expanding, includes numerous VMs and instances, or has a complex multi-layer architecture. The Policy-Based Data Protection feature contributes greatly to the overall usability of NAKIVO Backup & Replication, making it an even more efficient data protection tool. Policies can be created for VM backup, replication, and backup copy jobs in just a few steps. Simply select the criteria (e.g., a VM’s name, size, tag, etc. ), enter the necessary search parameters, and have all the matching items included in the job automatically. For instance, you can choose to back up all VMware VMs tagged “Accounting” exceeding 100 GB in size and having more than 2 GB of allocated RAM. Once the policy is created, NAKIVO Backup & Replication recognizes newly added VMs or instances with the same characteristics and automatically includes them in the existing job. Policy-Based Data Protection is a unique feature designed to deliver better flexibility, simplify navigation, and save time, alleviating the burden of manual data protection management. 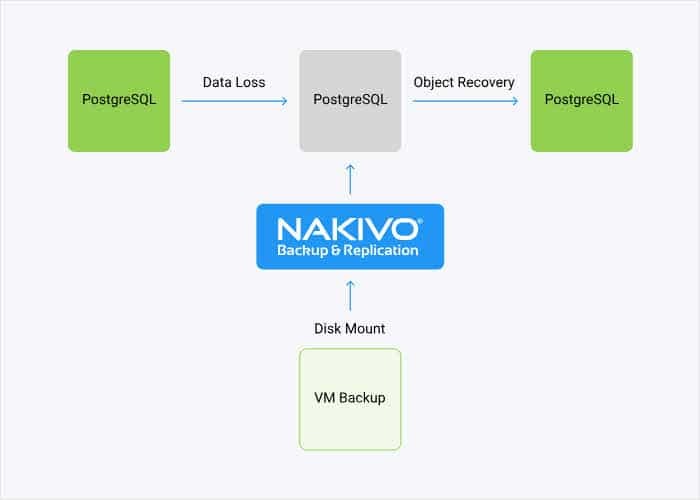 No matter how many new VMs or instances are added or removed from your environment, NAKIVO Backup & Replication can handle their protection in an automated and highly efficient manner. Nakivo Backup & Replication v8.1 has come with lot of improvements. Nakivo migrated to VDDK 6.7.1 to improve support of vSphere 6.7 Update 1, that is actually the best of improvements. In addition of improvements, there are lot of fixes. Nakivo Backup & Replication 7 – vSphere 6.5 Support! Previous story What is OpenSCAP?